Years ago, I remembered being obsessed with this foundation and it was one of my favourites. Fast forward a few years and it has been reformulated and repackaged so I thought it was time to try it again! Recently, I have found myself being obsessed with high street foundations and falling out of love with some of my £30+ foundations so it isn't about the money you spent when it comes to a good product! 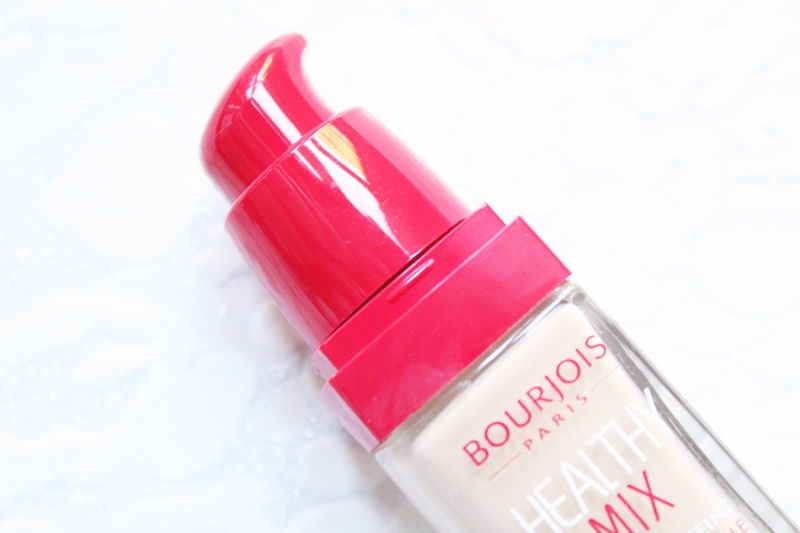 This is one of my favourite foundations for when I want something with a slightly lighter coverage than normal and a lovely natural and radiant finish. 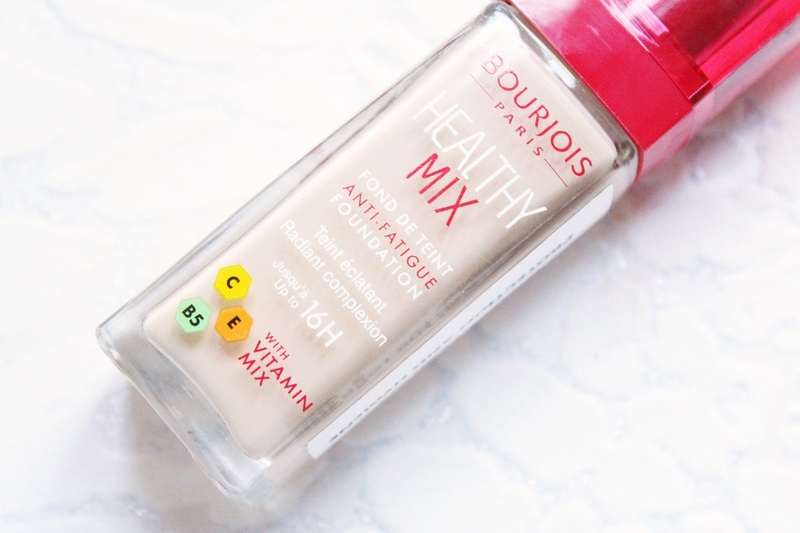 The Bourjous Healthy Mix Foundation has been enriched with a fruity therapy formula to enhance your complexion. It has apricot for radiance, melon for hydration and apple to protect your youth. It has also been enriched with crystalline pigments which will help even out the complexion while letting in natural light to give off a natural, healthy glow. This is the perfect foundation for when your skin is looking a little dull and needs a boost which is exactly what I had been in need of! This foundation claims to keep your skin looking flawless for up to 16 hours with a beautiful radiance with hydration for up to eight hours. I find with my skin type that this foundation isn't quite as long lasting on its own as it is with a good primer or setting spray but I don't mind doing these extra steps to lock it into place. If I don't use a setting spray this foundation will only last for about four hours on me but as I love how it looks on me so I do go that extra mile. I really like the revamped packaging, I think it feels much more luxury than the previous bottle and I love that it has a pump as it makes application so much easier and less messy. I have been applying this with a damp beauty blender and I find that this works best to get decent coverage. This gives me medium coverage which is good for when I am having a good skin day. 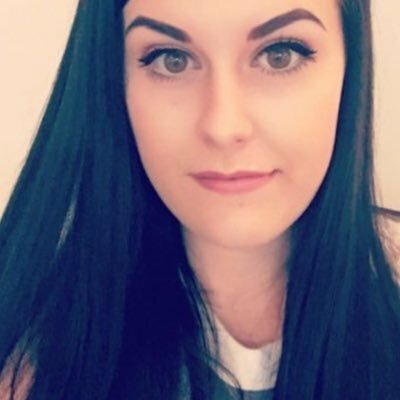 The finish is very natural and radiant yet it doesn't make me look oily in the slightest. I do think this is a brilliant budget friendly foundation and I do actually prefer it over some of my super expensive foundations! This feels very comfortable on the skin and is very lightweight too. It comes nine shades (I think) but I do hope they extend the colour range to match more skin tones. 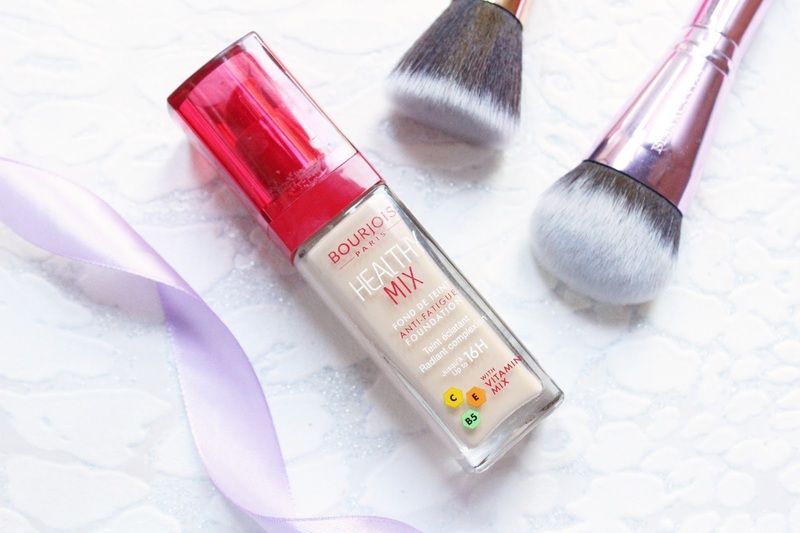 The Bourjois Healthy Mix Foundation retails for £9.99 - HERE.